Ironic that we saw Joey Agbayani’s 1989 short film Kidlat right in time for the latest PGMA controversy. It is simply about a journalist interviewing and writing about a politician. The politician swears that he is not corrupt, tamaan man siya ng kidlat, which of course happened. He did not die of the lightning; though, he was eventually killed by the journalist’s pencil. The short film says so many things about Filipino politics. The corrupt official, the private armies and deliberate lying to the press. This has become stereotypical of the Philippine political landscape. Even with the 80s technology and scratched film quality, the short film hits home. The implication also holds true, the press can and will kill you. Then I recall the latest GMA controversy–the Supreme Court versus the Department of Justice. Who will prevail? Personally, I know that the Supreme Court should prevail, they are the final word on the Philippine Judiciary System. The Department of Justice, on the other hand, should oversee the administrative aspect of the said judiciary system. But, as emotions run high and with individual pride at stake, De Lima (DOJ) is digging her put in, unfortunately, towards her unconstitutional decision. She is banking on the press and public opinion to dig her out of the mess she created for herself and the country. People are starting to love her, blinded from her disregard of a constitutional and fundamental right. Don’t let me get lost, the relevance to Kidlat? The relationship with the press. Remember, all that we see and hear are actually chosen and framed by the press. Each and every single detail and debate are chosen and edited before it reached us. The truth that we know is only a version of the truth that the press decided for us. We are of course, not mindless idiots, we have our own interpretations. But those interpretations are already limited by what has been represented to us. Then, there’s the pencil. Yes, a phallic symbol, if you don’t mind my psychoanalysis. It was meant as a phallic symbol, behaving as a phallus during the narrative–it thickens and lengthens, it shrinks, it grows soft, and it penetrates. This masculine symbol pertains to the politician of the time. 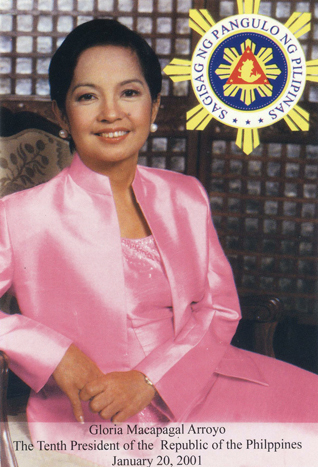 Now, of course, our controversy is on the devil-woman PGMA. PNOY, symbolizing hope for us all. At least, it is how media represent the issue to us. In the end, though, we might be able to achieve the end of burning the witch at the stake; but, at what cost? From where I’m standing, it is the phallus that reigns, again. When PGMA broke the law, she became the devil-woman; when PNOY defies the constitution, he became a hero fighting for what is “right.” See the irony? The phallus is indeed powerful, even after all this time. What will happen next? Will it be like Kidlat where the phallus will eventually kill the corrupt politician? Or will the phallus show its ultimate power and eventually imprison the “devil-woman” at all costs, including the Philippine Constitution? The story of Kidlat continues… Until when? I was very pleased to find this web-site.I would like toHello! I just would like to give a huge thumbs up for the great info you have here on this post. I will be coming back to your blog for more soon. This entry was posted on November 17, 2011 by Portia Placino in Movie Review, Philippine Cinema and tagged Constitution Crisis, Joey Agbayani, Kidlat, Movie Review, PGMA, Phallus, Philippine Constitution, Philippine Politics, PNOY, SC vs DOJ, Supreme Court.